Fun with Penguins! | Mrs. Anton's Class! 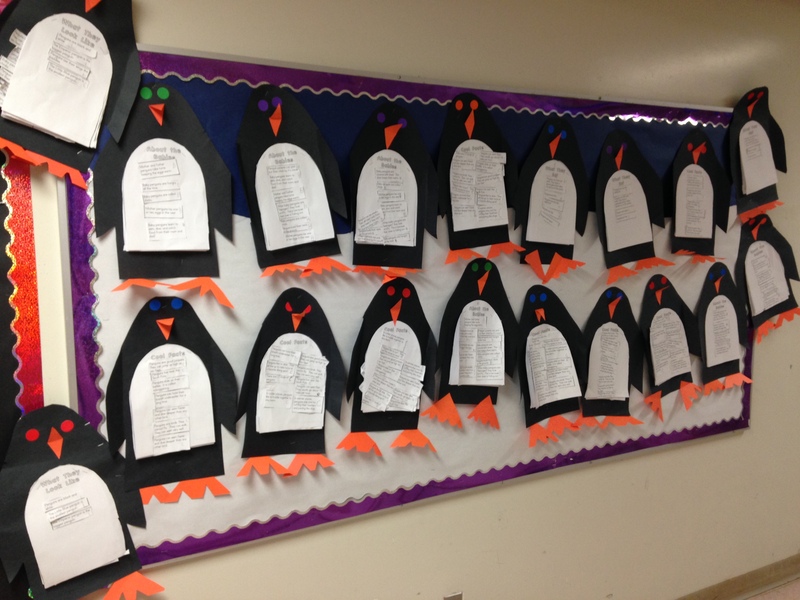 We have started our unit on Penguins! 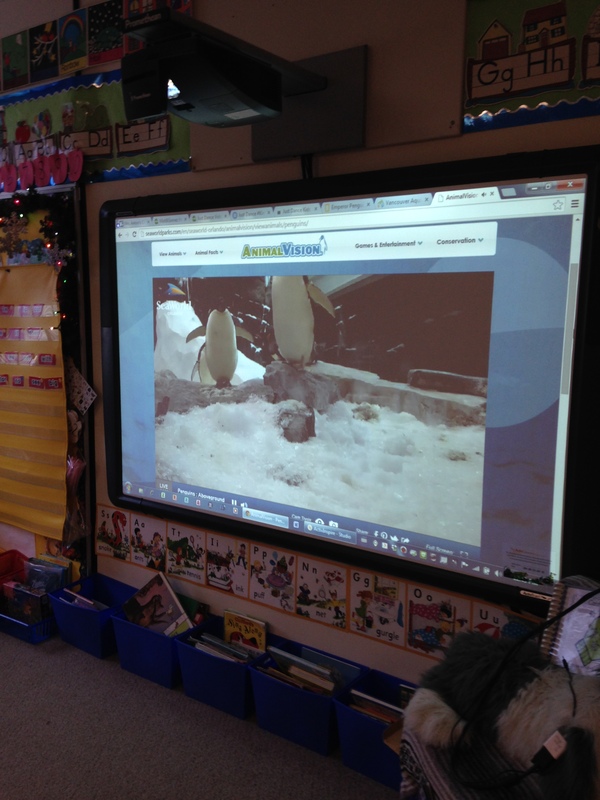 Over the last few weeks we have watched the penguins on the live webcam at the Vancouver Aquarium. Very cool! 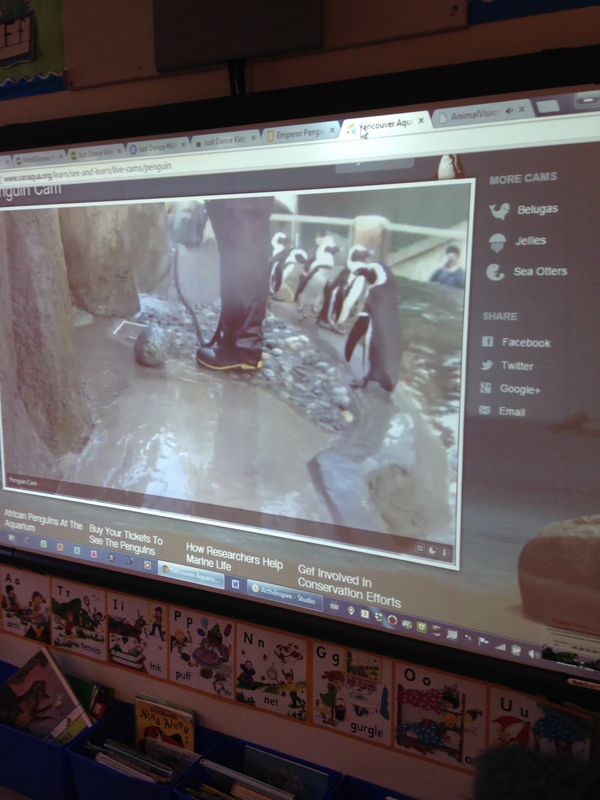 The penguins here are watching their keeper clean up their enclosure. He even reached down to pet one of the little penguins. Very cute! You can find the link to the webcam here. We also watched bit of the webcam from Seaworld in Orlando. You can find the link for this webcam here. These guys are really noisy! 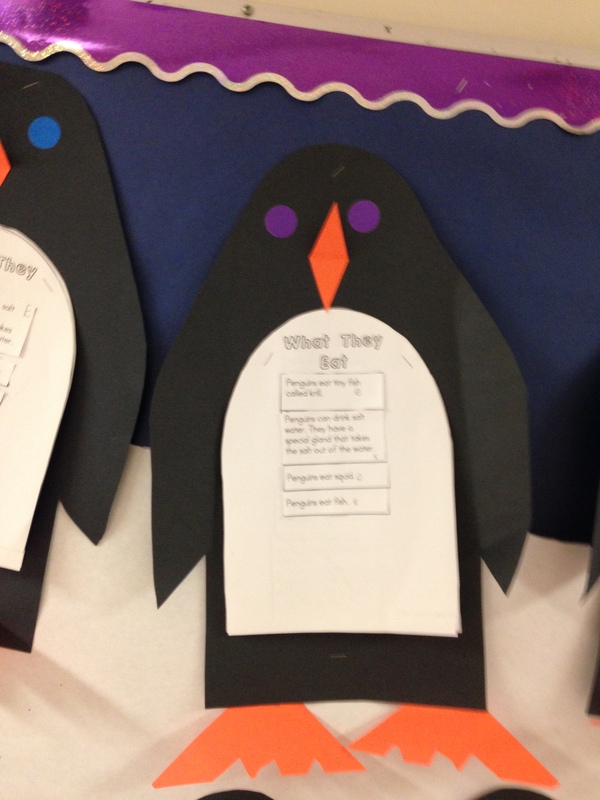 We read some non-fiction books about penguins! We learned a lot of interesting facts. Did you know that penguins like to surf? 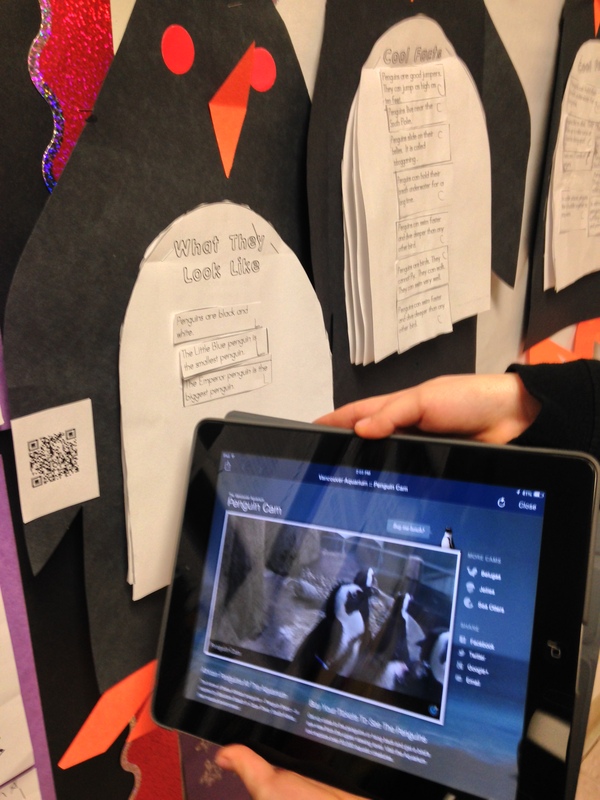 Then we did a penguin research report. First, we read the facts and decided which category would be the best for each fact. Our four categories were: What They Look Like, What They Eat, About the Babies, and Cool Facts! Then we coded the facts with the beginning letter for each category and the children glued the facts to the corresponding page. 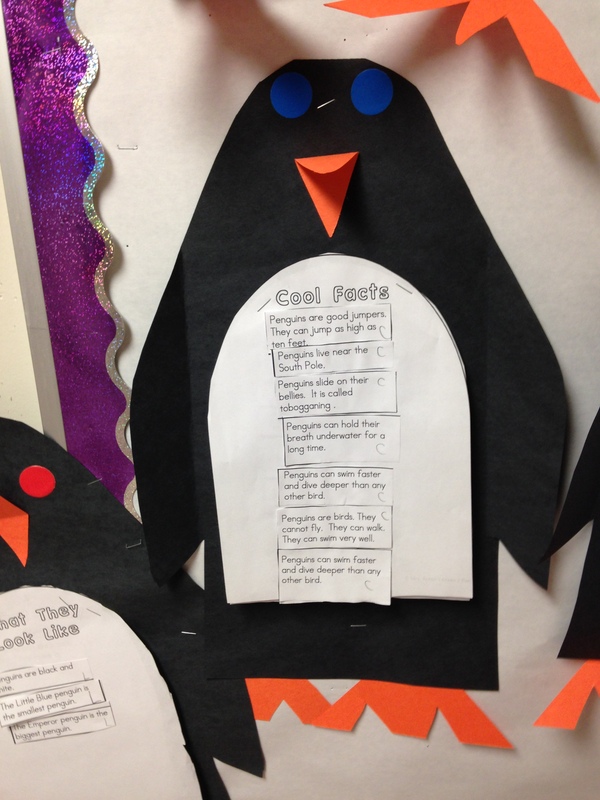 We turned our report into a penguin! 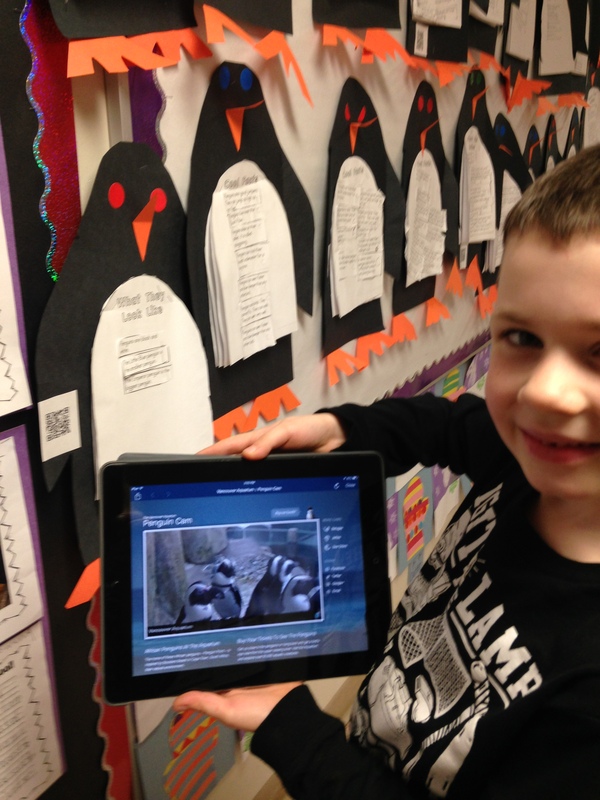 We have also created a QR code for the Vancouver Aquarium webcam that we have attached to our penguin reports. If you have a QR code reader on your phone come on in and try it out! It’s a lot of fun! 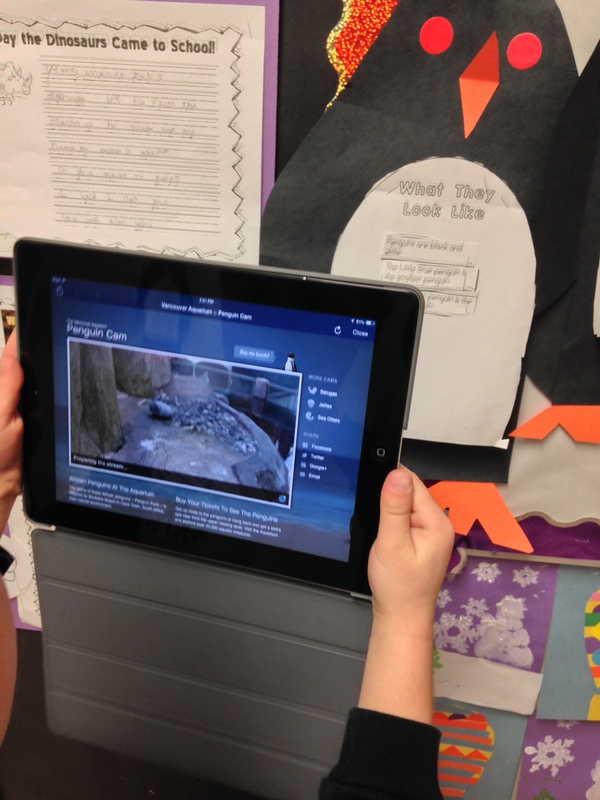 It seems a bit like magic to point the iPad at a little box and have penguins appear! Too much fun!